The regulator, ARCEP reports revenues, but not disaggregated by voice and data. 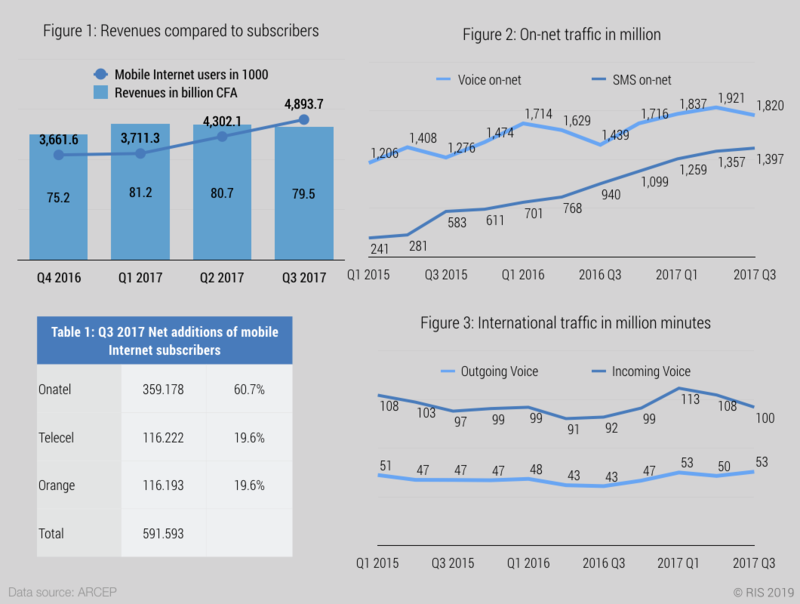 Mobile operator revenues in Burkina Faso have stayed roughly the same, while on-net voice and SMS traffic have shown strong growth (Figures 2 and 3). Mobile Internet users increased at the same time (Figure 1), pointing to falling data prices. Indeed, Onatel lowered its prices for a 1GB per month to CFA 4,000 in the fourth quarter of 2017 while Orange and Telecel both charged CA 5,000 (Figure 5). 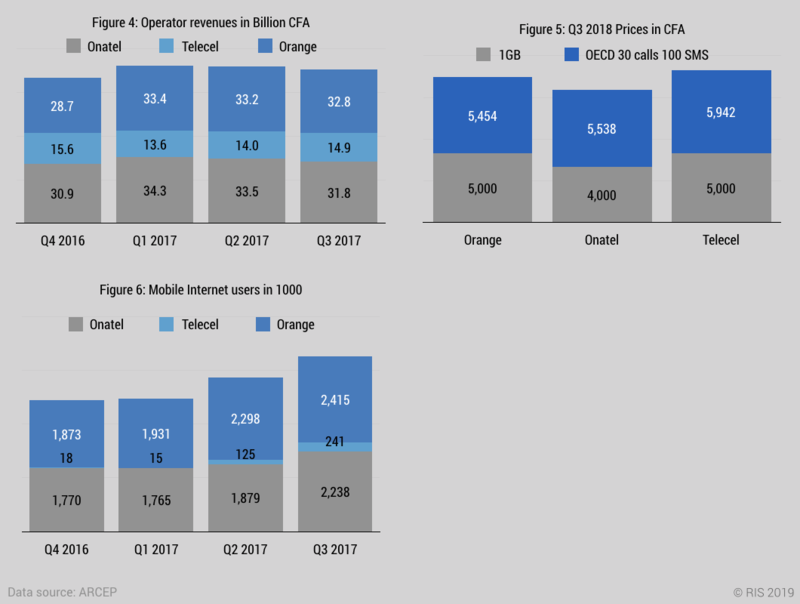 Figure 4 displays revenues by operator and shows that Telecel increased its revenues in Q3 2017 while Orange and Onatel both had a slight drop. Telecel also nearly doubled the number of mobile Internet users in Q3 2017 (Figure 6). In absolute numbers, Onatel gained most internet subscribers in this quarter, 61% (Table 1). International traffic has remained steady (Figure 3). 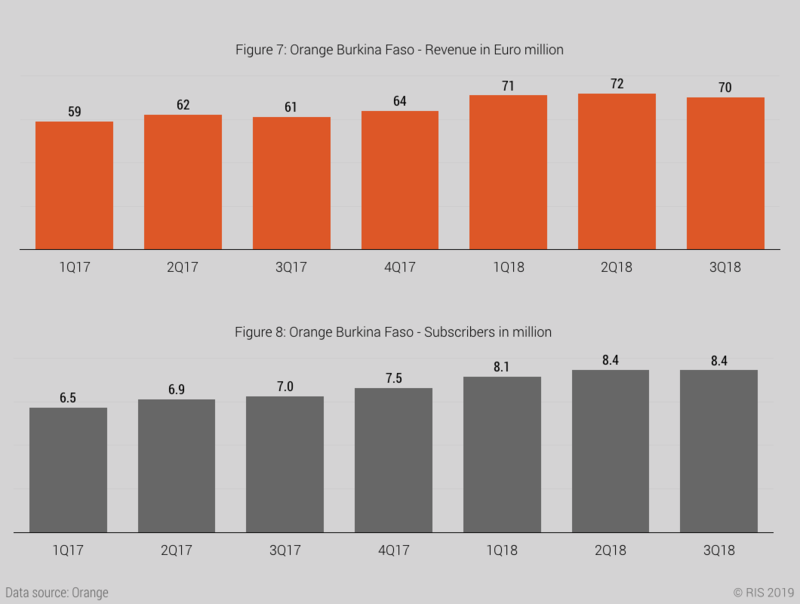 Revenues and subscriber numbers for Orange have increased in 2017 and 2018. Only Q3 2018 saw a slight drop (the latest data published by Orange). The use of OTT applications is likely to have grown along with Internet subscriber growth. If there is a link between internet subscriber growth, increasing OTT use and declining revenues, this is not the picture in Burkina Faso. Revenues have remained static, while voice and SMS traffic has increased. International traffic has remained constant. The factors point to the conclusion that static revenues are due to other factors aside from OTTs, such as regulations, access to spectrum and pricing. Only limited revenue data is available for Burkina Faso. However, SMS and voice traffic is still growing and international outgoing voice traffic is constant. The low 3G coverage means that Burkina’s mobile operators are limited in the ability to grow data revenues. OTTs are not the cause of static revenues.